Thermal/Deflective Emergency Blanket is a vital necessity in first aid kits for hypothermia or cold weather emergency conditions. This lightweight, handy and economical blanket folds compactly into a very small unit to fit into your kit, yet when unfolded (140 x 210cm) can totally wrap a whole human body. When applied, the blanket traps and holds the body temperature for warmth. This compact and affordable item can be the difference between life and death! The blanket can be used in cold weather, reflecting up to 90% of the user’s body heat back to them. 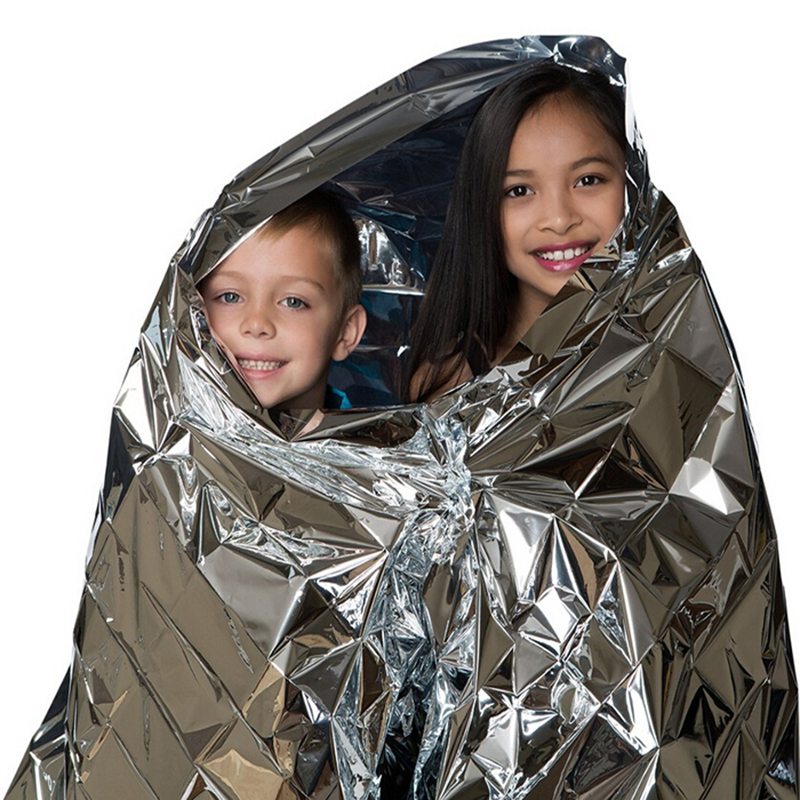 But also when facing an emergent situation in the heat, Thermal/Deflective Emergency Blanket can be used to deflect heat away from the user, allowing the body to stay cool.